The outcome of Finals has yet again changed the values seen on track in qualifying. 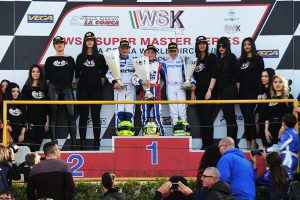 The Finals at the La Conca World Circuit of WSK Super Master Series ended with the victory going to new talents, which ended up with important changes in the provisional classifications. 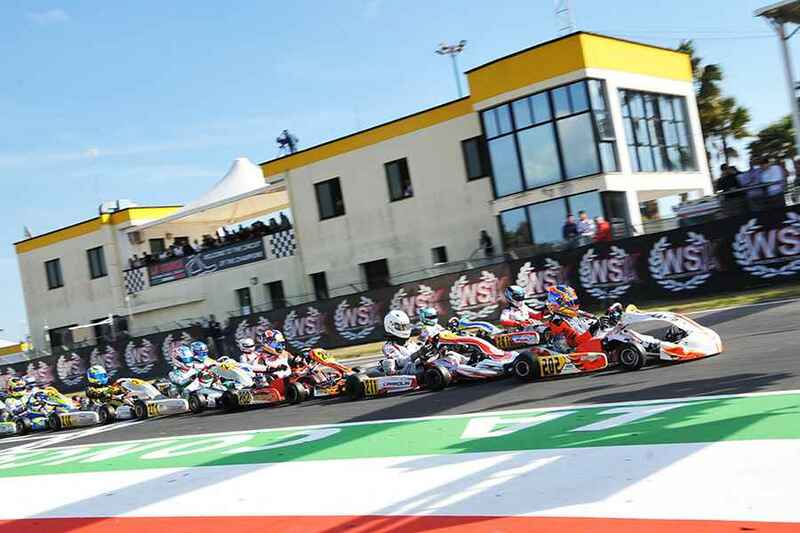 The chequered flag on the Series will wave in two weeks time at the International Circuit Napoli in Sarno (SA), in round that will name the 2019 winners. Victory is not going to be a walk in the park by the look of the strong contenders. The Italian Gabriele Minì (Parolin-TM-Bridgestone) had a crescendo of performance in La Conca as he himself described his weekend after the win claimed in the Final ( above , the start of the race). Minì managed to take the lead early on, hitting on Dexter Patterson’s chances (KR-Iame) after the latter won Prefinal B. The Finn Juho Valtanen (Kosmic-Iame) started from the front row, as he won Prefinal B, but went off track at the start and rejoined from the back. Minì pulled away but the Spaniard Pedro Hiltbrand (CRG-Iame), also showing a good crescendo in the crucial stages of the weekend, started chasing him. Patterson came to the fore in the closing stages and, after losing several positions early on, he managed to bounce back and get P2 off Hiltbrand, while Minì was claiming his maiden OK Final. Patterson is currently leading the classification at 239 points after overtaking Lorenzo Travisanutto (KR-Iame), who is now second at 201 points. On top , the podium of the OK Final. Andrea Kimi Antonelli (KR-Iame-Vega) claimed the OKJ victory. The Italian started the Final from the second row and managed to recover some places in the initial laps taking the lead. The Brit Arvid Lindblad (Exprit-TM) slipped down the pack instead, after claiming Prefinal A’s victory and closed his race in fourth place. Thomas Ten Brinke (FA Kart-Vortex) ended an amazing comeback behind Antonelli. Started from P23, the Dutch driver climbed all the way up to P2 getting the position off the Russian Nikita Bedrin (Tony Kart-Vortex), who had previously won Prefinal B. Antonelli strengthened his classification lead reaching 215 points, while Ten Brinke and Bedrin follow him at 154. 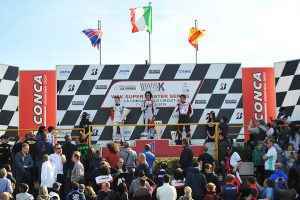 Above , the podium of OK Junior. Only 0.058s split the Jamaican Alex Powell (Energy-TM-Vega) and the Belgian Ean Eyckmans (Parolin-TM) at the flag of 60 Mini’s Final. Powell started the race from the eighth spot of the grid and managed to take the lead from Eyckmans, as the latter won Prefinal B. Eyckmans did not give up though and fought all the way to the chequered flag. 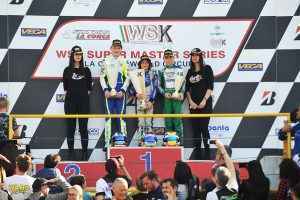 The British driver Coskun Irfan (Parolin-TM) won Prefinal A and briefly led the Final early on, before closing the race on the podium in P3 (in the photo above ). Eyckmans managed to install himself on top of the classification at 227 points overtaking Rashid Al Dhaheri (Parolin-TM), who is second at 189.